Tiny houses are trendy and adorable. Television shows parade their affordability and the convenience of living tiny for singles, couples, and families. That is what lead my husband and I to explore the concept two years ago, when rents were high and the housing market was questionable. 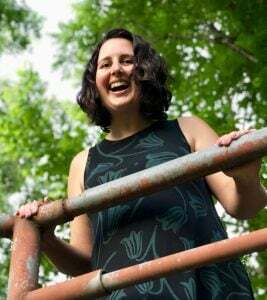 We wanted freedom from the financial obligation and rigidness of a mortgage or rent. Our research lead us to several conclusions about tiny houses and ultimately, the decision to live in a recreational vehicle (RV) instead. While tiny houses are built on wheels, they are not meant to travel frequently. The purpose of building a house on a trailer is to avoid zoning and permitting requirements (sometimes taxes too). RV’s are designed for the road with lightweight materials and traffic laws in mind. Some states even require a special permit to transport a tiny house, not to mention a substantial vehicle with the power to pull a tiny house. RV’s are subject to regulations and tiny houses are not. For this reason, many campgrounds, national parks and the Bureau of Land Management (BLM) do not allow tiny houses to park overnight. It is also challenging to insure a custom built tiny house because of the lack of regulations. Tiny houses do not have holding tanks for black, grey or fresh water as RV’s do. That means they must be connected to a water source and sewer in order for the plumbing to be fully functional. RV’s afford the opportunity for boondocking or camping without being hooked up to water and sewer making the location possibilities endless. However, emptying the holding tanks from a RV can be smelly and messy. The same is true for electric. A tiny house must be plugged in to an electric source. RV’s often have generators on board capable of running electricity for the lights, air conditioner, television, etc. 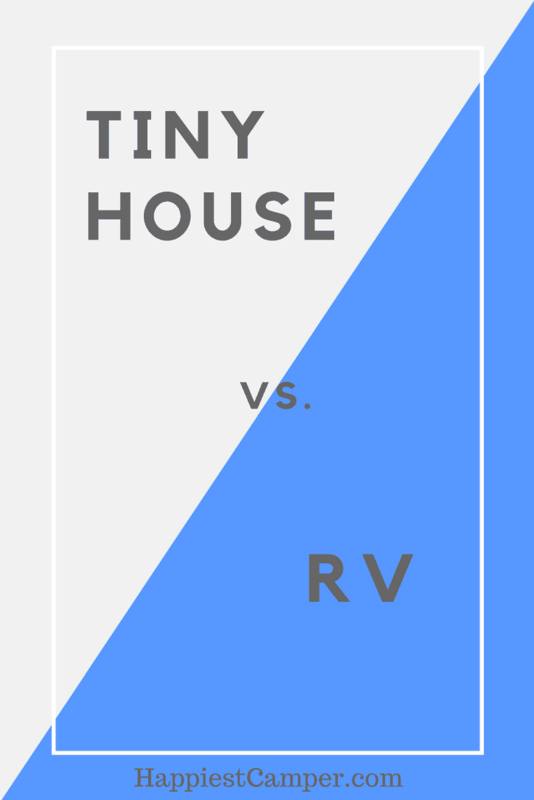 Many RV’s are larger than tiny houses when comparing square footage to include RV slide-outs. RV’s also have more storage capability, inside and out, and better use of space overall. More people can be accommodated in the average RV which have couches and tables that convert into beds. Tiny houses have better insulation than RV’s. Insulation keeps sounds out and makes it easier to control the temperature inside. RV’s are more prone to shaking when it is windy or people are walking around in the rig. RV’s are vehicles by definition. They depreciate quickly like vehicles. Tiny houses tend to hold their value or even increase in value as houses do. If you are looking to live small with minimal travel, a tiny house might be perfect for you. It can be custom built to meet your unique style and needs at an affordable cost. Purchase or rent a plot of land in your location of choice, and you’re all set. 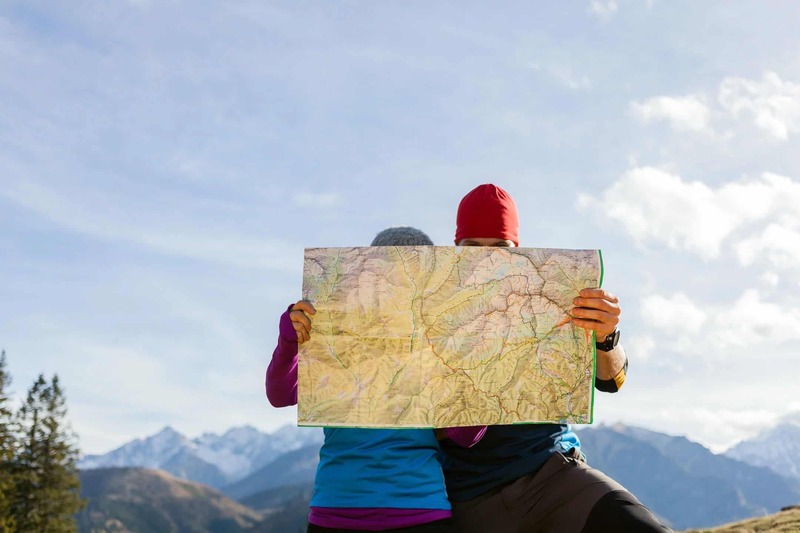 If you would prefer to travel frequently, perhaps to visit the national parks and truly experience the beauty of America, an RV is the better choice. We went through the same decision process 2 years ago. Since I move for work every 3 months we could not guarantee being able to find a spot for a tiny home. With our fifth wheel RV, we simply call any local campground and make a reservation. It also allows us to take side trips while on work assignments. Nice! The RV really can feel like home. One downside of an RV that I did not see considered is that they are not designed to be lived in full-time. I’ve heard formaldehyde levels are much higher than a home built out of standard home building materials. From my understanding, they stopped using formaldehyde in RV’s around 20 years ago. We traded our old 2004 camper for a new one, no problems. You can smell it if it’s in there. Hi. I’ve lived in my rv 4 a year now. No problems whatsoever, toxicity isn’t an issue. Living full time has allowed me 2 meet others who’ve been doing this lifestyle 4 years. Easily said, nobody I’ve met would ever go back 2 living in a stick n brick abode. It’s not a lifestyle 4 everybody. The most positive part about full time living in an rv, I’m not a slave 2 a huge mortgage, a ton of housework or yardwork. I get 2 enjoy God’s beautiful creation at my own pace. The rv’s of today r more like stick n bricks homes ever been b 4. U usually meet wonderful people n if by chance u meet a grumpy neighbor, u can easily move! We are ready to live and travel in our 28 foot camper , but are concerned about the weather ! What do you do ? Hi Brenda! I think you are asking what to do when threatening weather like a tornado or storm is coming through. Most campgrounds have a safety area for those types of situations. It’s usually in the bath house or some type of community building. However, the best thing to do pull up your jacks and move when you have warning. This is especially true for hurricanes. When your house has wheels under it, use ’em! I agree. We used our RV to leave our FL home every time there was a hurricane in NW FL several years ago. Mostly left because my aged FIL lived with us and couldn’t go for days without power & A/C. When one storm finally hit TN where we went, it was like a good T-Storm but safe and I was sitting under the awning reading my book when the rains & winds came (near Cleveland). If you know a storm is coming, get out early because the traffic to evacuate could leave you stranded. One storm it took us several hours to go a normal 25 minute ride with all 4 lanes heading north and none going south. The loud rain is the best part!! That and the motor rumble while traveling make for great sleeping! We lived in a bus conversion from the time I was 5 until I married at 21. We moved weekly for my dad’s job and covered about half of the US. I want an RV so badly! But with 5 kids and my husband’s job it isn’t practical for us now. Yes, love the sound of rain on the roof! You have confused me a little – I’m currently having a tiny house being built. It will be fully setup for on and off-grid living with fresh & grey water tanks. And I am also adding extra structural bracing to handle the bumps of the road. So I guess a tiny house, just like an R.V. is only as functional or dysfunctional as it is built to be. Well that’s my 2cents worth… 😉 Thank You ! Congrats on your tiny home!